I love the fall season. Fall means cute outfits, wonderful weather and the annual MN T-Girls photo shoot with the amazing Shannonlee, superstar photographer! I have worked with Shannonlee for about a half dozen photo shoots and this was the fourth photo shoot she did for the MN T-Girls. You can read about the last two shoots here and here. We started doing these shoots because for so many of us the only photos we have of our femme side are selfies and let’s face it, nothing beats a professional photo. Some of us are nervous and have a hard time relaxing and having fun when it comes to professional pictures and it takes a patient person to bring someone out of their shell sometimes. Not only is Shannonlee a talented photographer, she’s super fun to work with and helps us all feel like supermodels. I had a lot of fun picking out my outfits for the day and got into the Halloween spirit a little, too. I can’t wait to share the final pictures with you all! Minnesota’s summer is winding down beautifully in an almost elegant, graceful way. The days are increasingly cooler and shorter and although fall isn’t here yet, can see it getting closer with each moment. The backyard barbecue is one of the season’s biggest tradition. To be able to eat outside with friends and get to know new people is one of life’s smallest but greatest pleasures. Most people attend them in flip-flops, but leave it to the MN T-Girls to pair brats with stilettos. Last night was our monthly event and one of the girls graciously welcomed our group into her home and backyard for one last night of grilling, conversation and fun. It was a perfect night and provided an opportunity for some new members to get to know the group in a very low-key way. Very special thanks to Marcia for hosting us and for grilling as well as to all the t-girls who brought something to share. It’s Pride weekend in Minnesota and the MN T-Girls were there celebrating with about a zillion others. It was a beautiful day and we had so much fun meeting people, talking about the group and being part of the community. The day started early with Mari and I setting up the tent, the table, the Wheel of Fabulosity and decorating our booth. And yes, I did this all in three-inch heels. It was amazing to see so many resources and allies of the transcommunity. As the day got started, Liz and Nikki joined us. Liz and I both wore dresses with a rose pattern and I promise that wasn’t planned and we both looked amazing. One of my favorite things about Pride is seeing so many people in our community. There were so many people happy to find others like them. Pride weekend goes all weekend long, unfortunately the MN T-Girls won’t be there on Sunday. We all had an amazing time and we are so grateful to be part of our community. Thank you to everyone who stopped by and to the MN T-Girls for making this happen. See you all next year! MN T-Girls at TC Pride! June is Pride month and I am excited to confirm that the MN T-Girls will have a booth (G37, in the Green Zone) at this year’s Pride Festival in Minneapolis the weekend of June 23rd and 24th. Although the festival runs both Saturday and Sunday, please note that we will be there SATURDAY only. Come meet the t-girls and find out how to join our fabulous group. This will be the MN T-Girls second year at Pride. I hope it’s less eventful than the first year we were there when a sudden gust of wind uprooted a tent and smacked me in the face. I still have the scar but thankfully it’s covered easily with foundation. I would like to start a group similar to the MN T-girls but I am having trouble finding other CD’s that might join the group. Could you share some of the steps you took when starting the MN T-girls? Particularly how did you contact a community of people that is typically in the “closet”. Congratulations on starting your group! It will be one of the most rewarding and occasionally frustrating things that you’ll ever do. I knew it would be difficult to meet others like me, especially those who were brave and confident and ready enough to go out. Luckily I had a blog and had a lot of people who visited it each day. I blogged about the group and invited t-girls in the area to email me. Being a little web savvy, I knew the most searched term people used to find my blog was “crossdressing in Minnesota”. I knew people were looking for others like me in Minnesota so I started to tag Minnesota on my blog so Google would start directing people to my site. So, setting up a blog that is updated frequently is a good start. Of course, starting a blog is a challenge in it of itself, but WordPress is very user friendly option. You might want to start blogging about LGBTQIA issues in your home state, share your thoughts and experiences and write about resources for our community in your area like I have here. A blog is a great way for people to get to know you so others feel comfortable reaching out to you. The next thing I did was posting a thread on crossdressers.com. There is a section there titled ‘Places to Go, Places to Meet’. 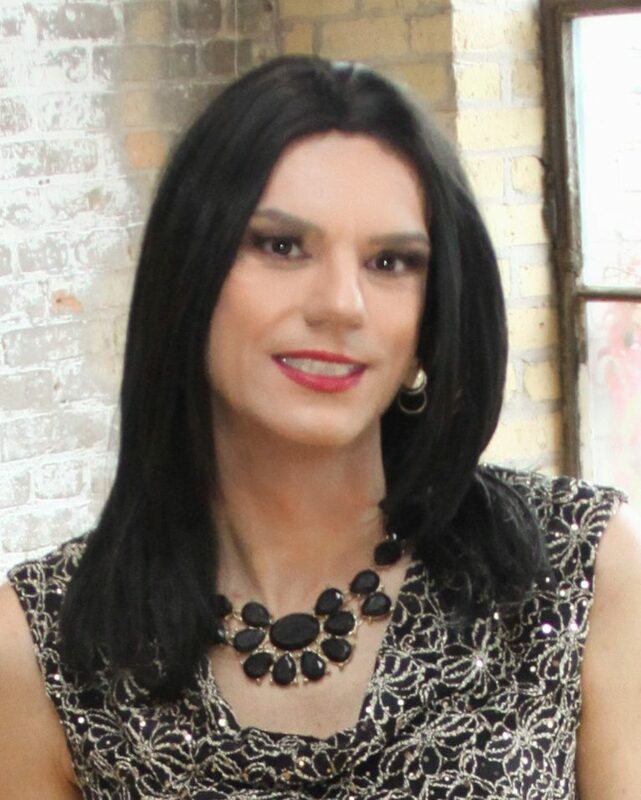 Crossdressers.com is probably the biggest social group for girls like us. T-girls constantly discover my group through this forum. You may also want to visit a local PFLAG meeting and invite members to your group. Creating, organizing and, maintaining a group like this is a challenge and can be frustrating at times. But it is also very rewarding and fun. It takes a lot of patience and professionalism and dedication. It takes commitment. It is a lot of hard work. It takes a lot of my time. However, through the group I’ve been able to do many amazing things and I am constantly looking for new adventures for us. I will say if you are going to create a group then it really is something you need to commit to. You’ll need to stay in contact with the members, keep them updated about outings and listen to requests. You’ll need to be reliable and consistent. You need to be social and outgoing and friendly and confident. The group really brings me out of my comfort zone in terms of being social, and I really need to be organized and plan ahead. You’ll also need to be able to not take things personally. There have been many events where ten T-Girls say they’ll be there…but two show up. There are times when I get frustrated when not as many girls show up as I expected because the events can take a lot of time to plan. Most outings take a few weeks, or sometimes even months to plan. The last outing was in the works for three months, for example. I wish you the best of luck! I hope it goes well and thank you for creating a group! Let me know when you group is up and running and I’ll writ a post about it. Some people think that the Twin Cities are a frozen tundra that is completely uninhabitable. Since yesterday was our first 60 degree day since November, sometimes I agree with them. This has been an unusual spring for us. Last week was supposed to be the MN T-Girls monthly outing, but a very powerful blizzard caused me to cancel our plans. I was disappointed as it sounded like a fun event, but the event itself was cancelled, too. However I’m happy we were able to do something that was just as fun. Yesterday the sun shone, the snow melted, and people were out enjoying the day. I spent the afternoon shopping and getting a makeover by Corrie at Midwest Makeup. Pam and Ryan couldn’t be more different. He is a young transgender man and she is an older conservative woman but when they are both diagnosed with cancer their lives intersect in ways that neither of them could have ever imagined. This world premiere of a new work explores questions of identity, relationships, our health care system, and who has control over your body and life. It sounds rather dark and serious and it does take on some pretty heavy themes however there are some genuine moments of brevity and tenderness. It was a wonderful evening. It was just a trio since the event was planned at kind of the last minute but I was glad to see another play en femme. Last night was the monthly MN T-Girls outing and we were invited to a preview of an upcoming documentary ‘The Queens’. The showing was held at Lush, a fabulous LGBTQ nightclub in Northeast Minneapolis. According to the documentary’s website, The Queens takes viewers out of the politics and onto the stage with an exclusive look inside the first beauty pageant to ever allow transgender female impersonators to participate. Born out of discrimination, the Miss Continental Pageant is now one of the longest running and most prestigious contests of its kind in the United States, attracting competitors from around the globe. The Queens humanizes and demystifies this group of often-misunderstood individuals; they’re fiercely determined, strikingly imaginative and possess jaw-dropping talent. The Queens will have you cheering for the creative spirit that lives within us all! You can watch the first few minutes of the documentary here! In attendance was director Mark Saxenmeyer and Tiffany T. Hunter, one of the featured girls in the movie. After the showing Mark and Tiffany took questions from the audience and Tiffany performed for the crowd. It was a very fun night and it’s always interesting to see a part of the transgender spectrum that I am not too familiar with. Thank you to Mark, Tiffany, Lush and to the MN T-Girls for coming! Unfortunately it was too dark to take photos of the group, but rest assured we all looked fabulous. Oh, and thank you to Corrie of Midwest Makeup Supply for the amazing makeover before the night started.